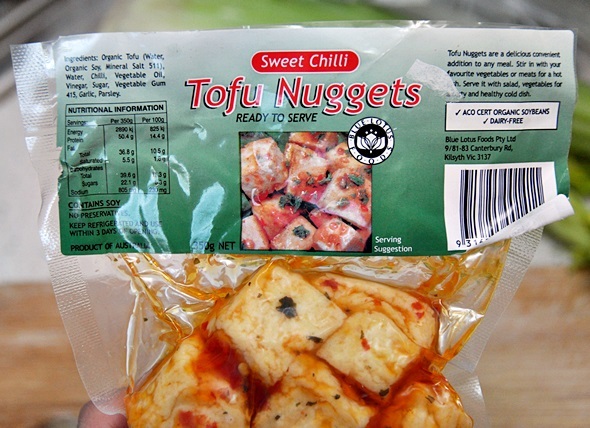 I have been reaching for these sweet chilli marinated tofu nuggets when I felt like a meat-free stir fry. As they are already marinated, all I needed to bulk up my stir fry are vegetables and soy sauce. With that being said, I have also been experimenting with different flavours which complement the sweet chilli sauce. This brings me to the hoisin sauce and sweet chilli combo. Since they are both on the sweet side, you’ll need savoury elements like soy sauce, sesame oil, ginger and garlic to balance the sweetness. I have made this stir fry last Wednesday night with noodles, celery, carrots and choy sum. Sometimes, a hearty meal can be made out of a vegetable heavy dish. Don’t you agree? Cooking shortcut: If you don’t feel like chopping/grating the ginger and garlic, you can use the about 1 teaspoon each of supermarket ginger and garlic paste; if you don’t feel like chopping and peeling the vegetables, get a packet of mix vegetables or sometimes I get the coleslaw vegetables mix (minus the dressing). 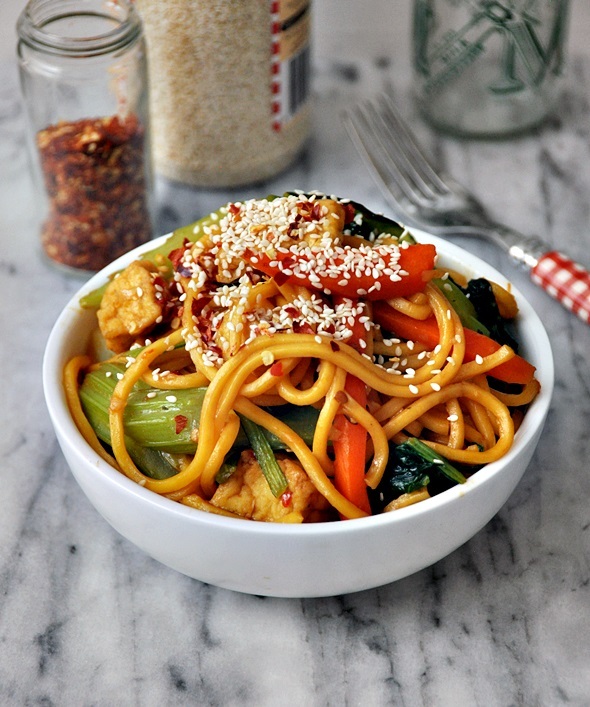 Prep the noodles: Unpack the noodles into a large mixing bowl/pot and pour enough hot water to cover the noodles. Let the noodles sit in the hot water until they loosen into individual strand. Drained and set aside. Prep the sauce: In a small bowl, mix together 2 tbsps hoisin sauce, 1 tbsp sweet chilli sauce, 2 tbsps soy sauce, 1 tsp sesame oil, 1 tsp ground white pepper and 2 tbsps of water until well combined. Set aside. 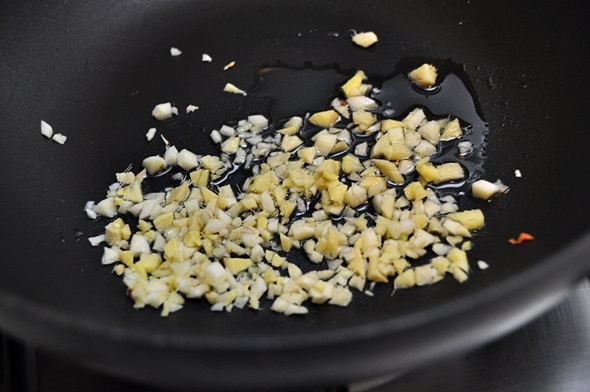 Stir fry: Saute ginger and garlic in 1 tbsp of oil until they begin to become aromatic, over low heat. 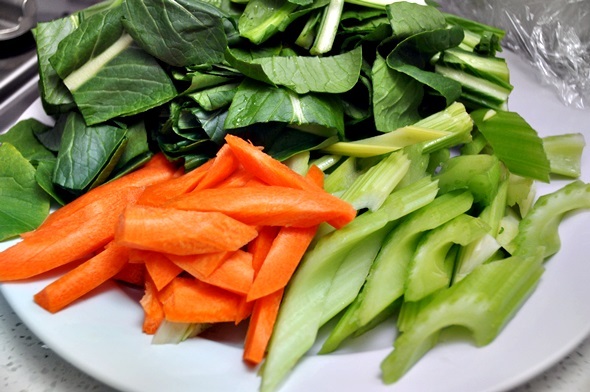 Add in carrot and saute for 1 minute and then add celery and choy sum with 2 tbsps of water. Saute until the vegetables are slightly soften. 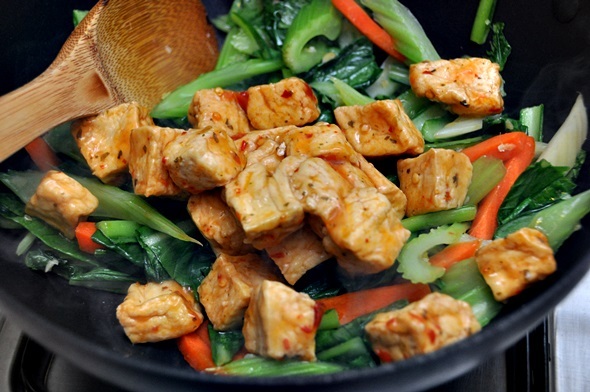 Stir in tofu nuggets and toss to mix with the vegetables and cook for about a minute. Add noodles as well as the sauce mixture and mix to combine all the ingredients. Saute over medium-high heat until the noodles are well heated through. 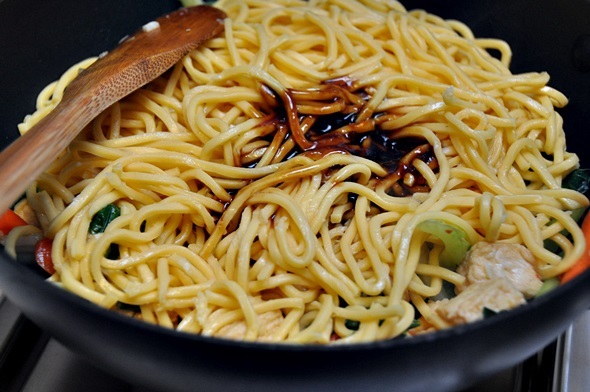 Sprinkle toasted sesame seeds over the noodles just before serving. 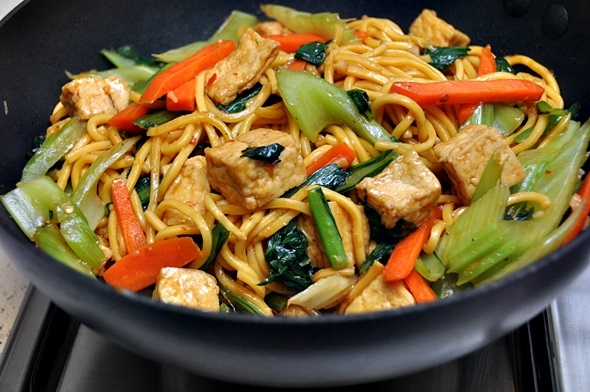 My go-to easy meat free dish is a noodles stir fry such as the above. How about you? What is your go-to meat free dish? I haven’t seen this brand before but I do often keep a packet of pressed tofu in the fridge for a last minute stir-fry (or Vietnamese rice paper roll!). I also have haloumi and feta in the fridge too – they all keep for ages and can be used to supplement a last minute meal. I followed the recipe almost exactly, except that since I couldn’t get the nuggets I simply marinated chunks of tofu for a couple of hours in sweet chilli sauce, which worked great. I also threw in a bit of broccoli and some red pepper that I had kicking around the fridge. Very tasty, this will become a regular part of our dinner rotation. Thank you Sonja, for trying the recipe and took the time to write me the wonderful feedback! I really appreciate it and happy to hear that you’ve enjoyed the recipe! I cooked this tonight and the celery was way too overpowering.